She’s Daughter of the Fifth House, Holder of the Sacred Chalice of Rixx, Heir to the Holy Rings of Betazed. Who the hell are you? 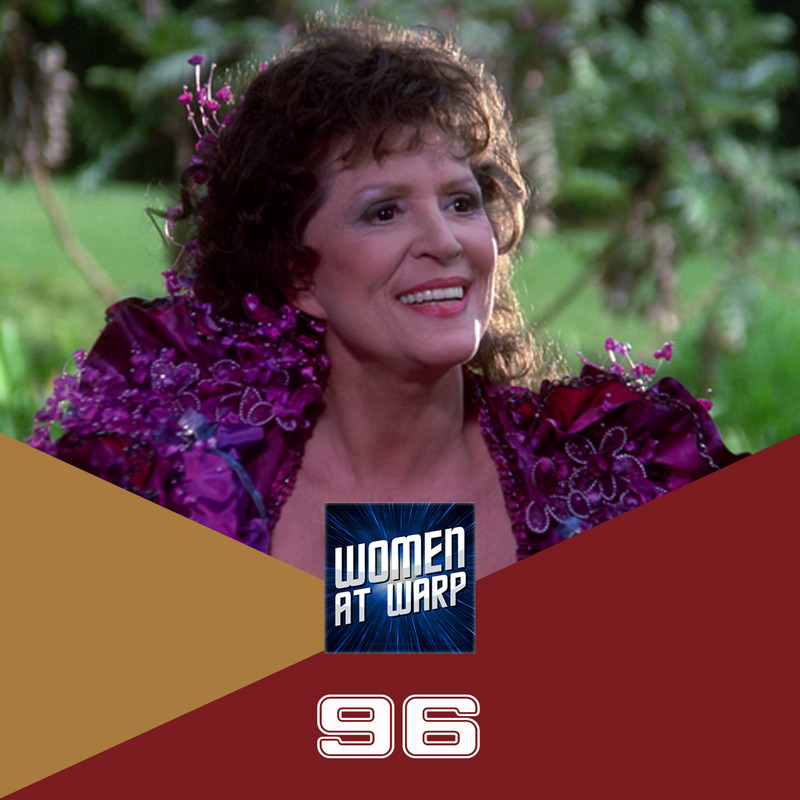 This week, the crew discusses the incomparable Ambassador Lwaxana Troi (Majel Barrett-Roddenberry). I wonder if it’s worth thinking about the fact that at least some of the brazen self-confidence Lwaxana manifests (albeit tempered by her vulnerability, a nuance of the character from the beginning) has to do with class. She is an aristocrat, a fact that she is fond of reminding anyone who gets in her way. We don’t get enough sense of the social structure on Betazed to draw a lot of conclusions about how she fits in, but a lot of her characterization is a woman whose breeding grants her the privilege to think of those around her — even the captain of Starfleet’s flagship — as her lessers. One may even conclude that the reason her position, a job to which she is temperamentally ill-suited, is a patronage appointment. All of this is mostly played for laughs; so is what this podcast correctly names as sexual harassment on her part, but we should not be blind to the role class plays in her characterization (I expect few British viewers would miss it). I know this will sound weird but I always go the impression that Lawxana Troi was the kind of person who was more into the “chase” than she was the actual person. That is, the idea of pursuing Picard was more of an appeal to her than actually being with him. I sort of imagine that if he said yes and agreed to be with her suddenly she’d be disappointed and wouldn’t really know what to do. I also think that was sort of what was going on with Odo. Odo and Picard are both strong and stoic types who are actively rejecting her. So in her mind they become something of a challenge. That said, I think that their moment in the turbolift was a genuine moment of connection for Lawxana and Odo because they were able to show their vulnerabilities to each other and accept each other for whom they are. I felt that it was truly touching.